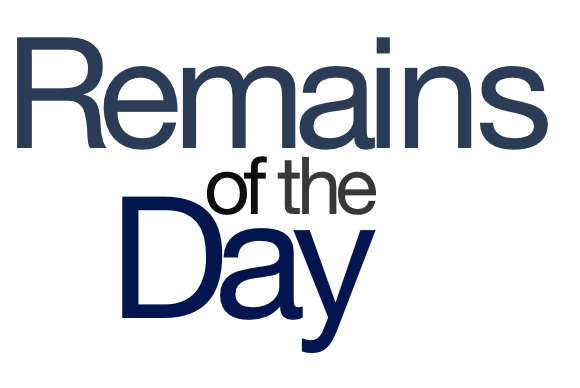 Remains of the Day: Bond. Financial bond. Some day, when people ask Apple why it offered up a multi-billion dollar bond, it’ll tell people it was young and needed the money. Of course, if you believe one competitor’s CEO, that’s because Cupertino’s tablet business is going belly up sooner rather than later. And it’s time for the latest edition of “I’m a Celebrity, Get Me Out of Sponsored Tweeting!” The remainders for Tuesday, April 30, 2013 have a nasty habit of surviving. Apple’s making the largest non-bank bond deal in history, putting up $17 billion for sale in order to fuel its ambitious share repurchase plan. To all of us non-financial types, this is the most interesting bond-related story since Skyfall came out. If that doesn’t sate your appetite for matters financial, you’ll be thrilled to hear that Apple and Samsung are going back … to the court system. Beginning in November, the two companies will once again let the bickering begin, this time over the damages resulting from the previous trial. And, not unlike Alien vs. Predator), whoever wins, we lose. Meanwhile, BlackBerry CEO Thorsten Heins is predicting doom for the iPad and its ilk, saying, “In five years I don’t think there’ll be a reason to have a tablet anymore.” I respectfully disagree: That BlackBerry PlayBook does a great job of leveling my kitchen table. Speaking of kaput technology, the original iPhone is apparently due to be put out to pasture soon. According to an internal Apple memo obtained by 9to5Mac, the iPhone will achieve “obsolete” status in most places as of June 11, 2013. Isn’t that just like Apple? It forces its phones into obsolescence so that you have to buy a new one every six years! Car integration is a big focus of iOS 7, according to 9to5Mac. The blog reports that Apple is planning to include support for auto makers who want to allow iOS devices to access in-car displays; Siri and Maps are mentioned as the major focus. Imagine the features: Maps displayed right on your vehicle’s screen, hands- and eye-free interaction with your iPhone, the ability to have Siri automatically call you a tow truck in advance when you ask for directions … the possibilities are endless! Celebrities are once again embarrassing themselves, and their sponsors, by demonstrating their lack of tech savvy. This time it was Spanish tennis star David Ferrer, who tweeted about how much he loved using his new Galaxy S4—unfortunately, he did so from his iPhone. The tweet was quickly deleted, but not before a bunch of blogs snapped it up. Sorry, David—that was a double fault.